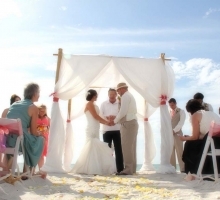 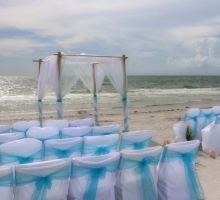 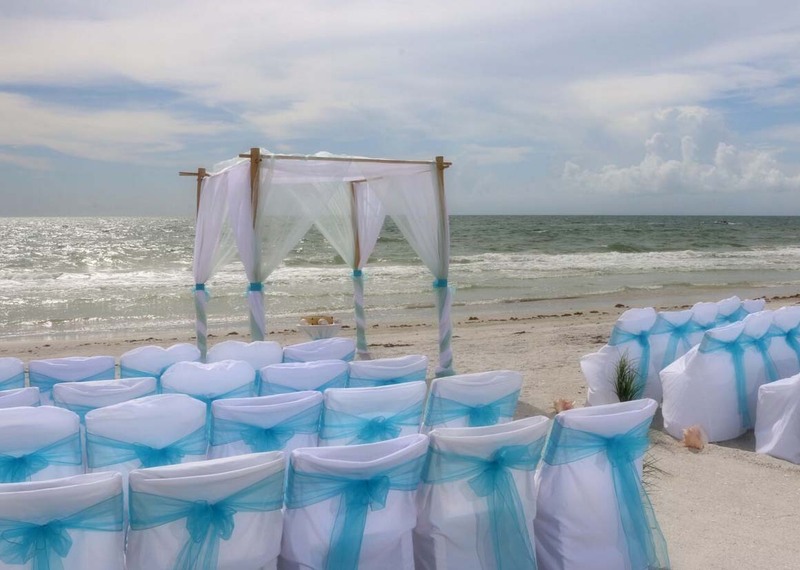 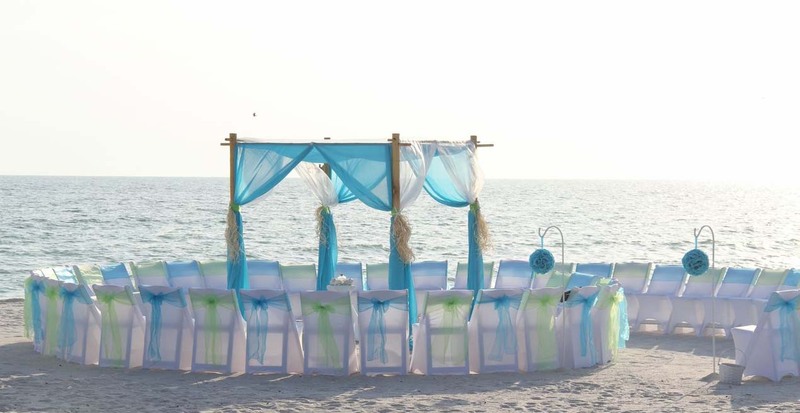 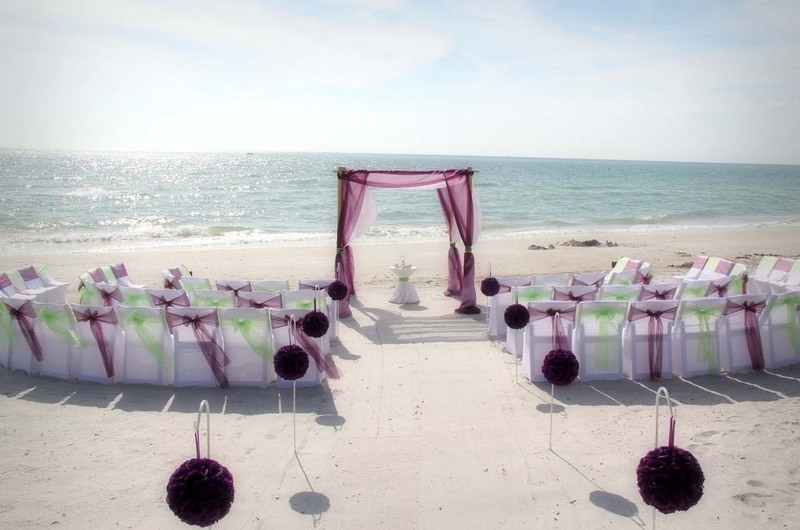 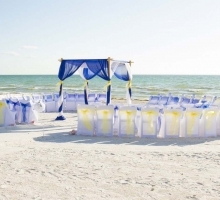 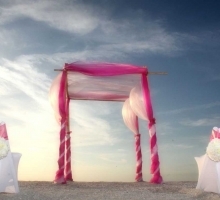 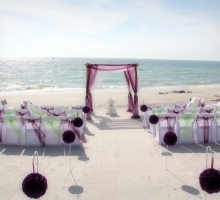 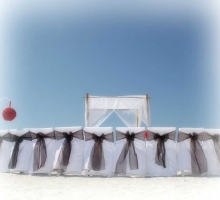 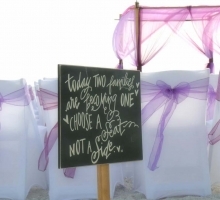 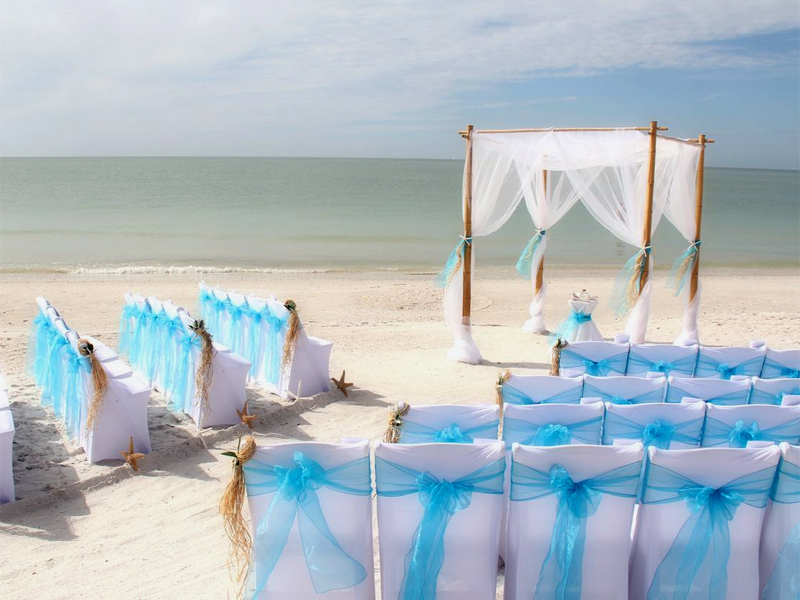 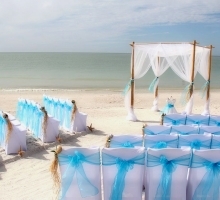 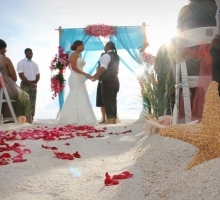 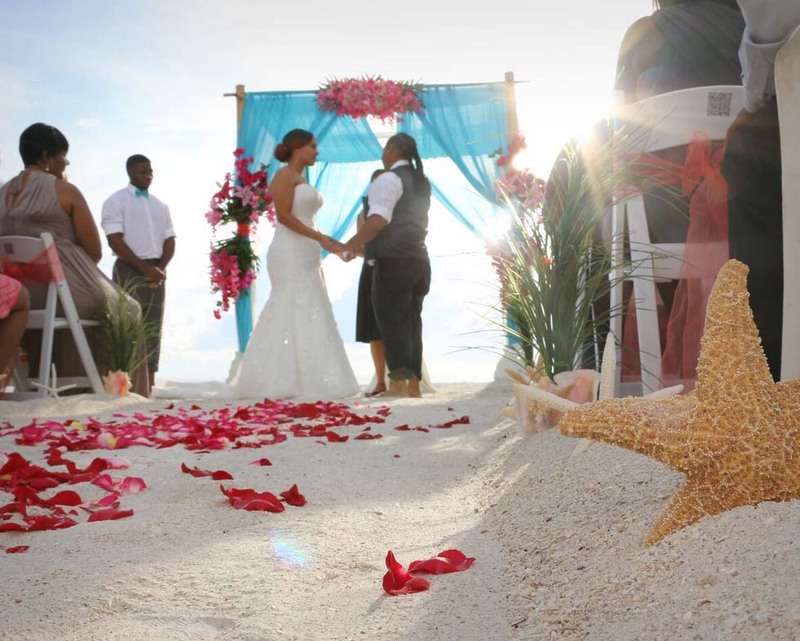 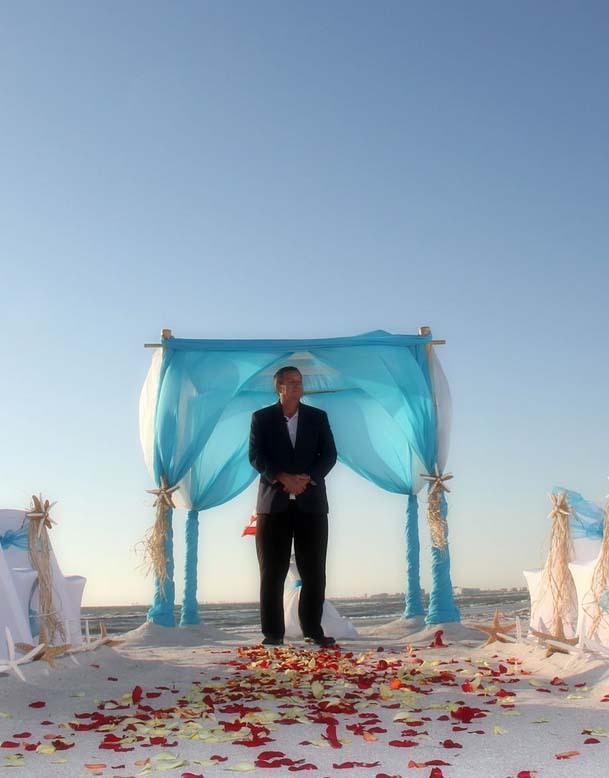 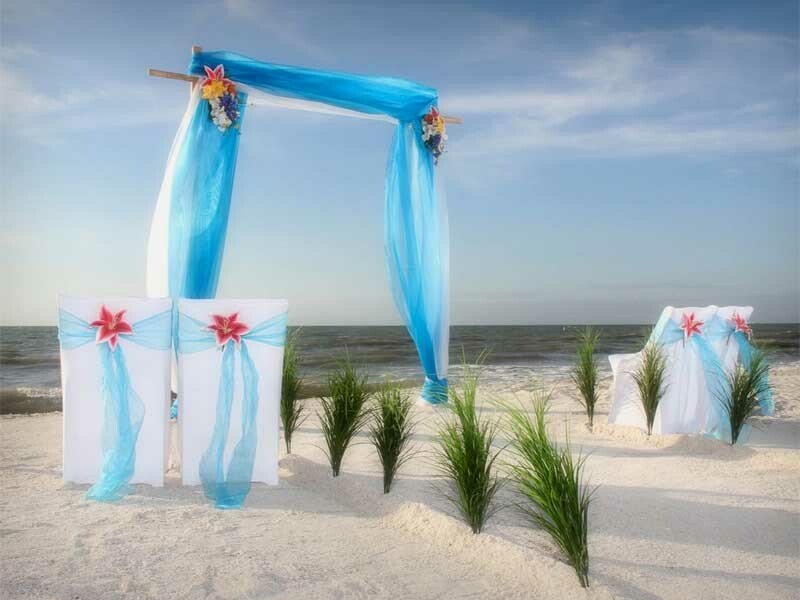 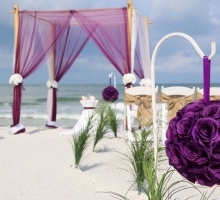 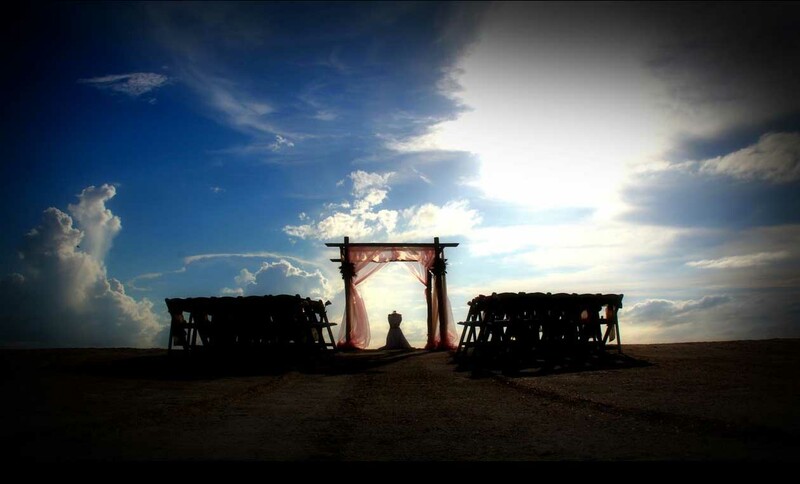 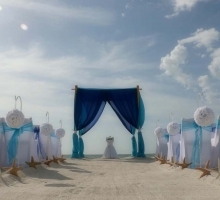 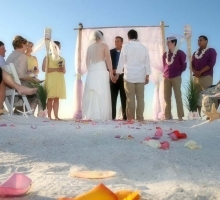 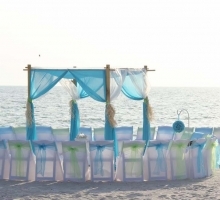 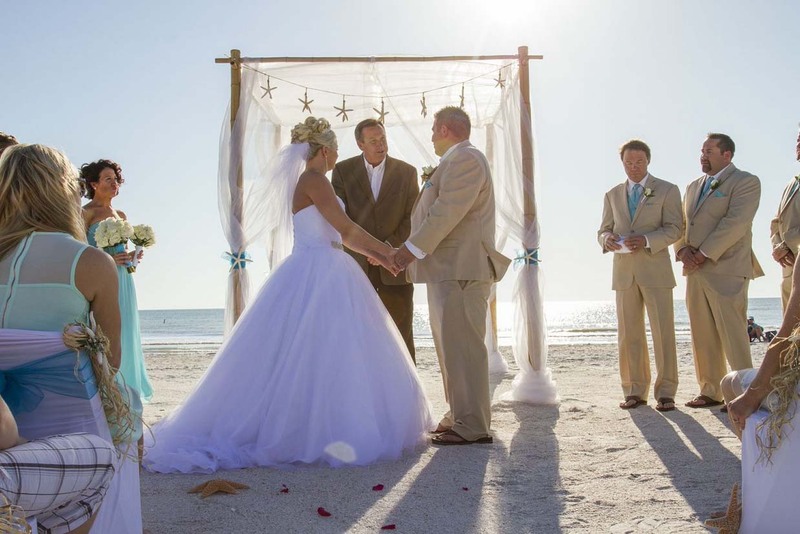 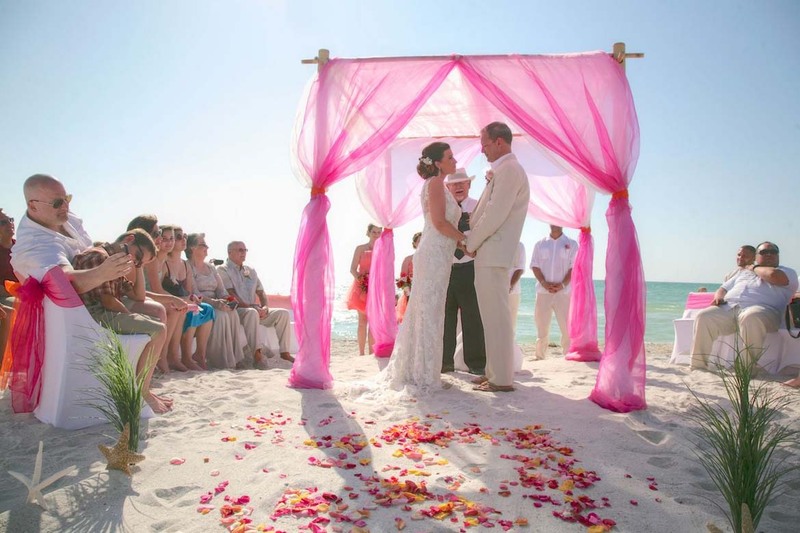 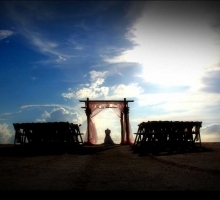 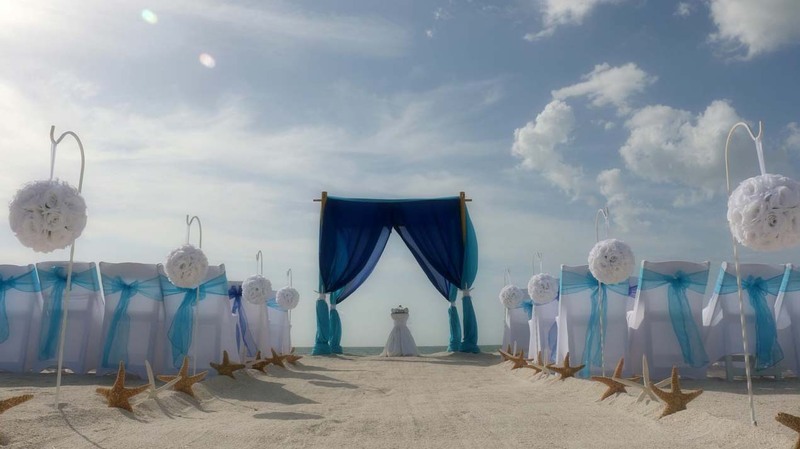 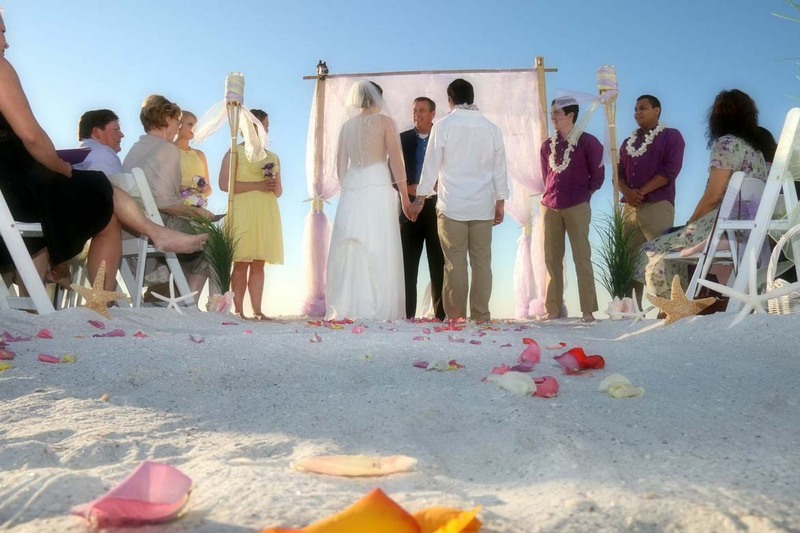 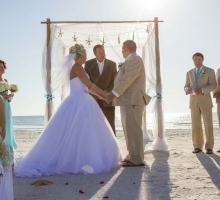 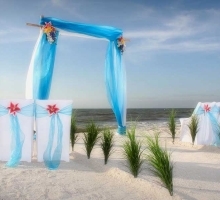 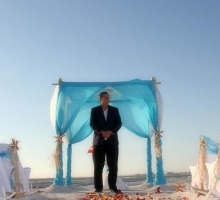 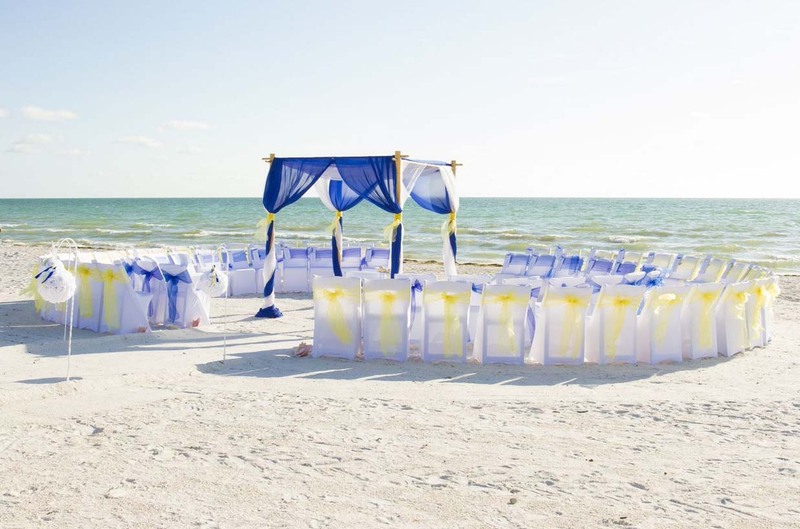 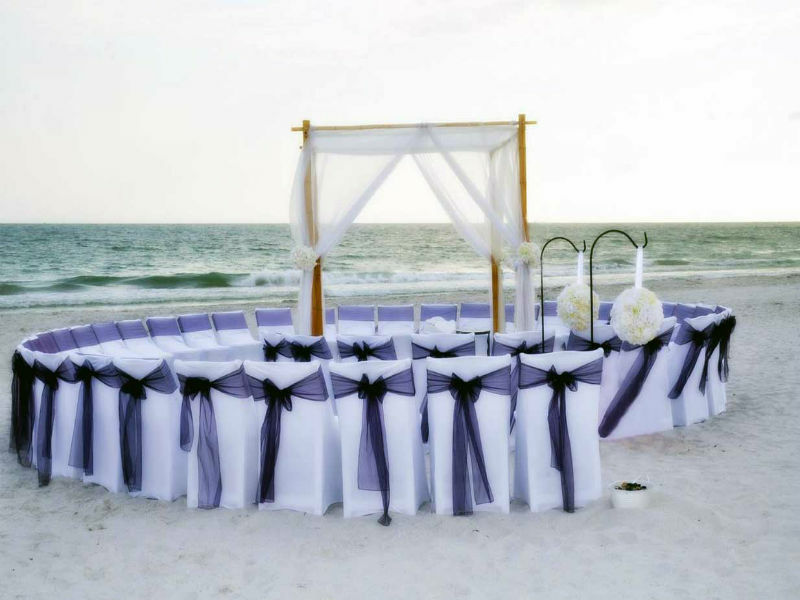 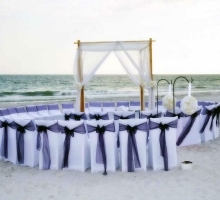 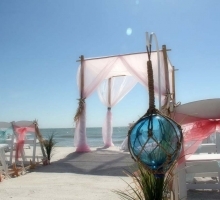 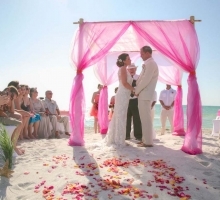 Florida beach weddings can be decadent and thrilling. 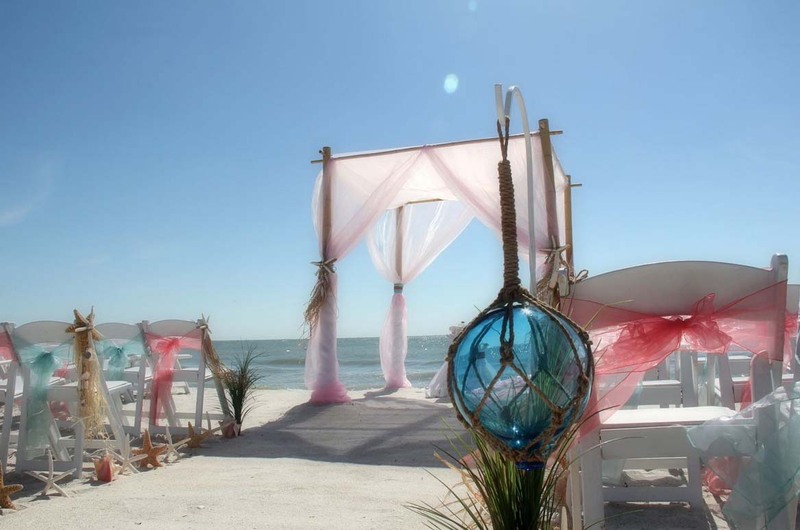 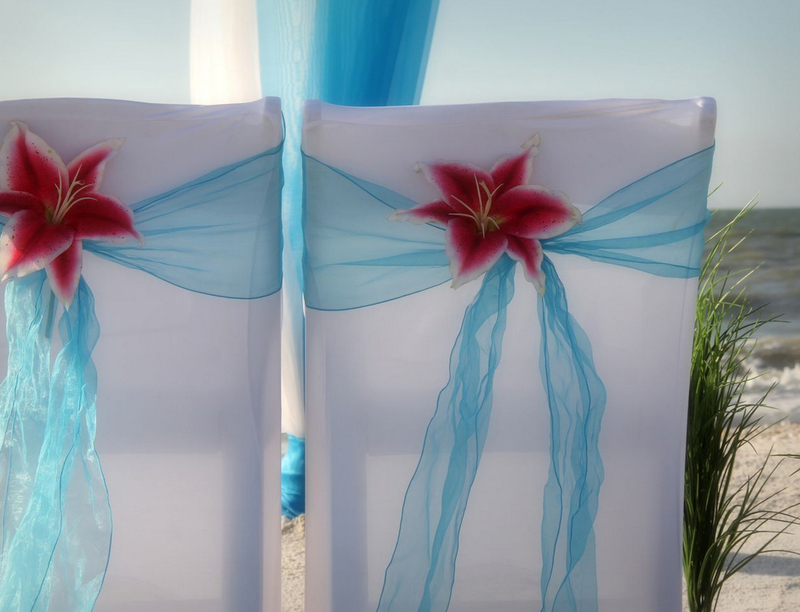 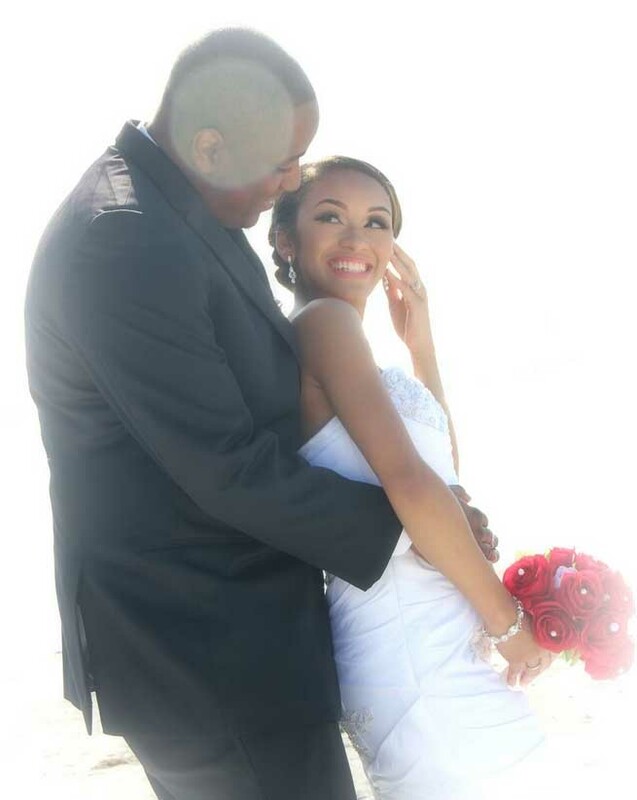 For the Suncoast Weddings 'Ultimate Romance' experience, you needn't break the bank. 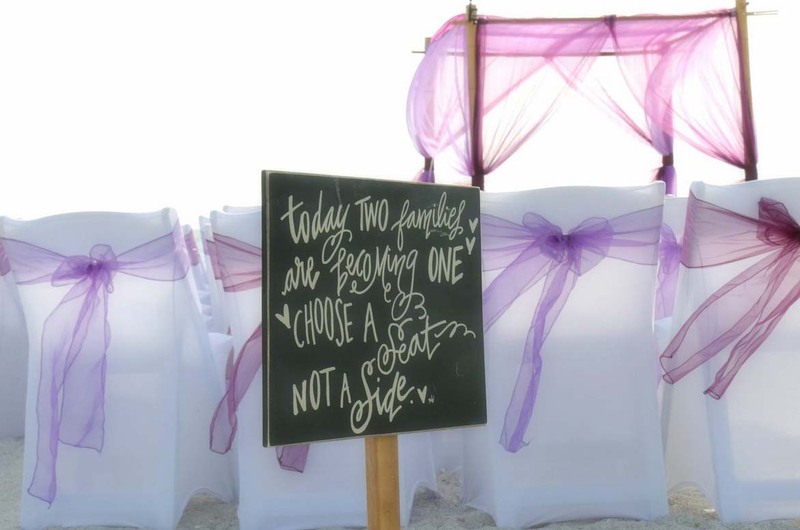 Uniquely crafted and with so many options, you'll cherish this day forever so let's make it nothing short of spectacular! 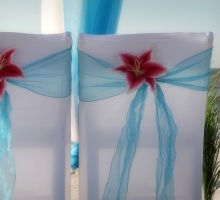 For a large wedding party or just the ultimate in decor and style, then celebrate your day and record the service in photographs and on DVD. 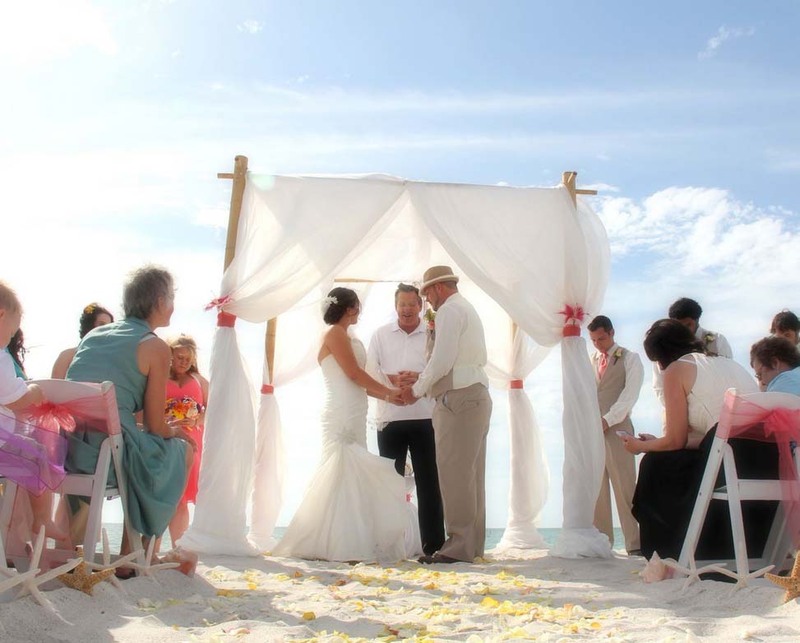 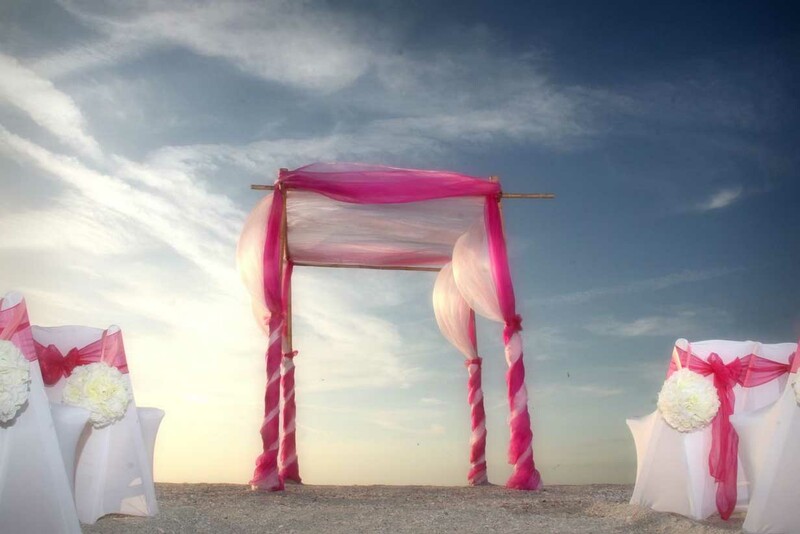 For years to come, look back and not only see but listen to the vows spoken and capture the setting with the surf lapping the shore - the soundtrack of your marriage. 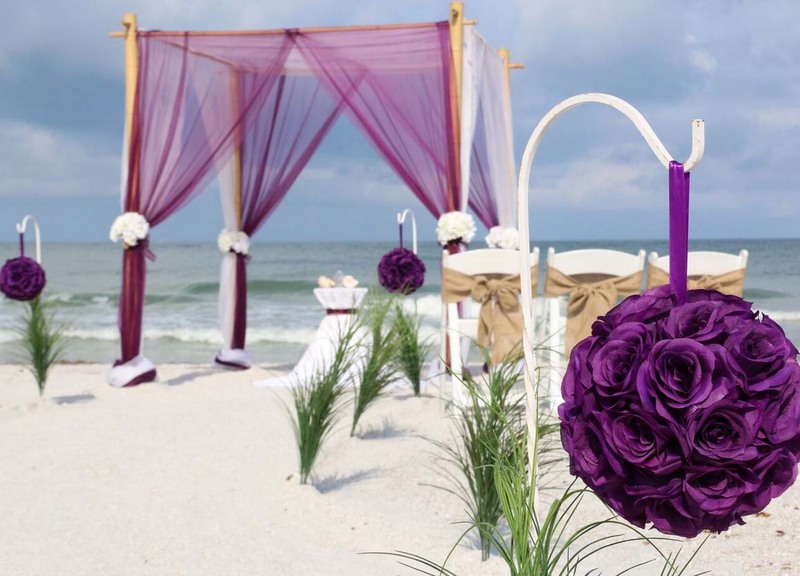 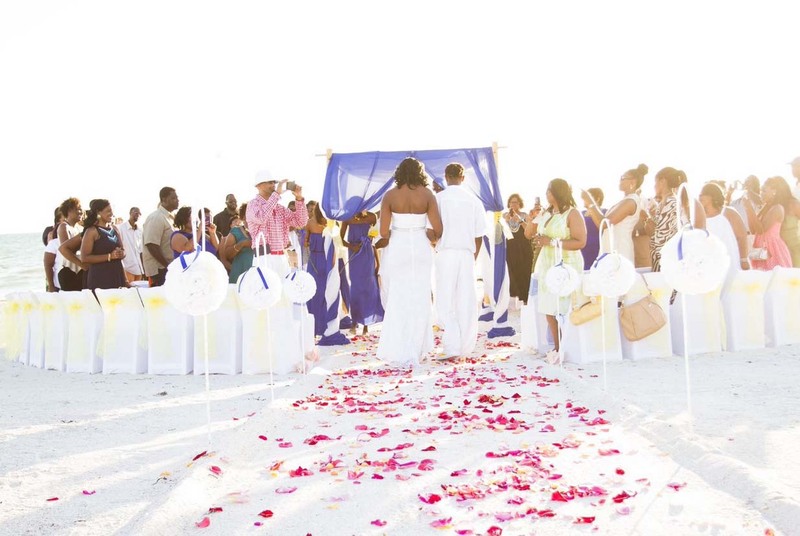 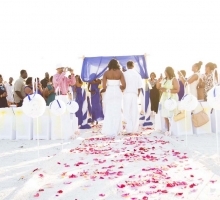 Walk across fresh petals on the aisle, let our minister guide you through your service, join together in the Unity Sand Ceremony and then bless your union with wishes as you throw stones across the waves. 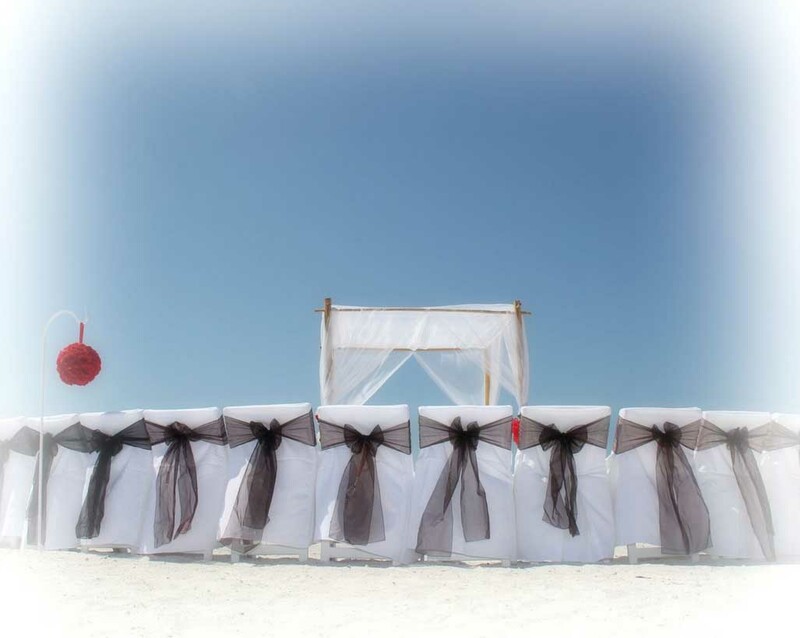 As with all of our wedding packages, you can be sure that every detail will be tailored to your requests and you can relax and look forward to an unforgettable day starting a new chapter in your lives.